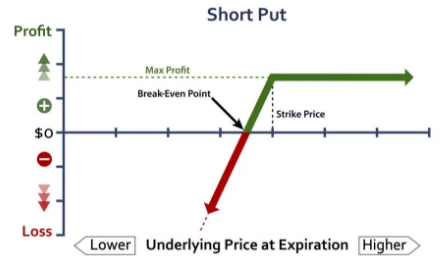 Short Put is the options trading strategy which includes writing a put option. This means that the writer is obligated to sell the shares at the predetermined price, at the time of expiry, if the buyer of the put option chooses to exercise his option. The short put strategy is used when the investor is bullish towards the market and expects the prices to go up. He then sells the put option and makes a profit if the price of the asset rises above the current price. However, if the price goes down instead, the investor will incur losses. This is because the buyer of the put option will then exercise his option and the seller will be obligated to provide him with the shares promised. The short put strategy is also called naked put or uncovered put. The investor does not need to own the shares or assets before writing a put option on them. If the buyer wishes to exercise the option, the seller will then need to buy the securities at a higher price and sell them to the buyer of the put option. The intention of the investor in the short put position is to let the option expire worthlessly. During the course of the time, the investor keeps earning the premiums and can earn the profit. The maximum profit is limited to the premium received. On the other hand, the losses that can be incurred are unquantifiable. As the price goes down, the option will be exercised and the investor will have to buy at a higher price, which is the strike price and sell at a lower price, which is the current price. The right time to use the short put strategy is when the trader is highly bullish towards the market and expects the prices to go up sharply. The trader then sells a put option at a slightly lower price and receives a premium on it. 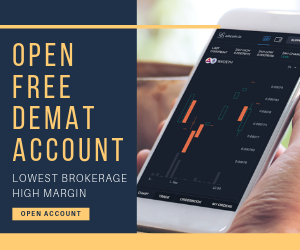 If the stock price goes above the strike price of the put option, as expected, the option will expire worthlessly and the premium will be received. The amount of profit is capped at the amount of premium received. However, if the price goes below the strike price of the option, the option will be exercised by the buyer of the option. The seller of the put option will be obligated to buy the shares at a higher price and sell them at a lower price, incurring a loss. The maximum loss is unlimited and increases with the decrease in the price of the asset. Thus, short put is a limited reward and unlimited risk strategy. It is mostly used by the traders when they take a lot of positions and keep earning the premiums. Occasional loss due to the price drop is offset by the premiums. If the trade starts going against the writer of the put option, that is, if the price starts going down, the investor also has the option to get away from the arrangement by buying the same options from someone else at a lower premium. He can take the difference in premium as profit and protect him against the loss of the option getting exercised. 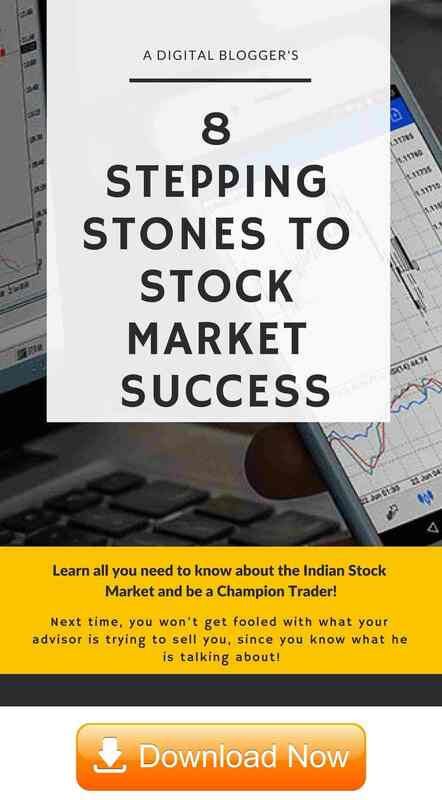 Let us suppose NIFTY is trading at 5200 points and the trader is bullish towards its price. He sells the put option at 5200 for a premium of ₹70. The lot size is assumed to be 50. Short put, being a net credit strategy, will give a credit of 70*50= ₹3,500 to the trader at the beginning itself. 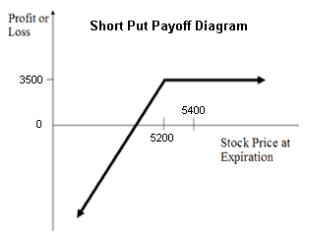 If NIFTY closes at 5400, which is higher than the current price, the short put strategy will create profit. The put option will expire worthlessly and the premium will be received as profit. The amount of premium is equal to 70*50= ₹3,500. This is the maximum profit that can be generated using short put strategy. If NIFTY closes at 5000, which is lower than the current price, a loss will be incurred. The amount of loss is equal to (5200-5000)= ₹200. However, after receiving the premium of ₹70, the net loss will be (200-70)= 130*50= ₹6,500. This is how the short put strategy results in a loss when the price of the underlying goes down as the trader has to buy the shares at the higher price and sell them at a lower price. The loss is reduced to some extent by the amount of premium received. If NIFTY closes further low at 4800, the loss incurred will be (5200-4800)= ₹400. After receiving the premium of ₹70, the net loss will be (400-70)= ₹330*50= ₹16,500. Thus, the loss keep on increasing as the price of the asset keeps on decreasing. The maximum loss will be incurred when the price of asset reaches zero. A steady source of income can be generated in the form of premium received, until the time the market remains bullish or neutral. The risk potential of the strategy is very high and keeps on increasing with the decrease in the price of the underlying. The profit potential, on the other hand, is limited and capped at the amount of premium received. Thus, short put is a complex and risky strategy. It has quite a low-profit potential, as against the very high-risk potential. The traders must use the strategy cautiously and after much experience and knowledge. As long as the trader is certain of the prices going up, the strategy is used to earn premiums. However, when the trader is uncertain of the bullish nature, he should preferably not use the short put strategy, as he may end up making huge losses, which cannot be compensated by the amount of premium received. 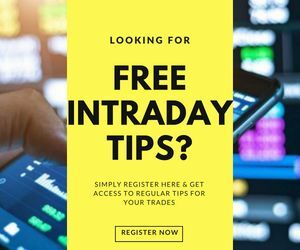 In case you are looking to get started with options trading or share market investments in general – let us assist you in taking things forward for you. You may choose to read this in Hindi.